Have you recently moved into a new house with a loft space but you have no way of accessing the loft? 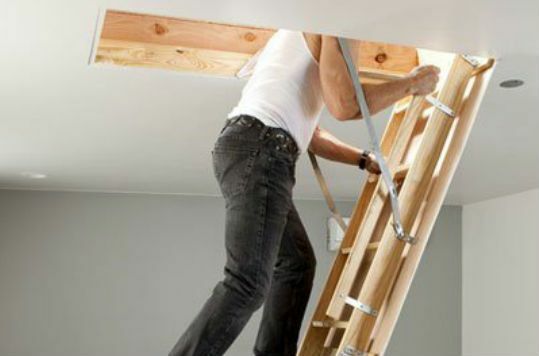 Or maybe you are planning to turn your attic into a storage area and you need a convenient way of accessing it? Installing a loft ladder is a simple solution that will enable you to maximise the use of space in your home. The cost of installing loft ladders varies depending on the kind of loft ladder that best suits your needs. We can install fittings that will fit your existing loft opening if you just need to gain access to the attic or to replace an old ladder. In some instances, however, you will need a complete solution including an access hatch. Types of loft ladders will fall into two categories such as Sliding loft ladders and Folding loft ladders. Construction materials include wood, aluminium and sometimes steel for heavy duty ladders. Aluminium is ideal because it is lightweight and durable while wood is also durable and has better aesthetic properties. Loft ladder systems are ideal for new loft access installations and often come with an access hatch. If they are the folding type, then you should make sure the ladder does not take up vital loft space. 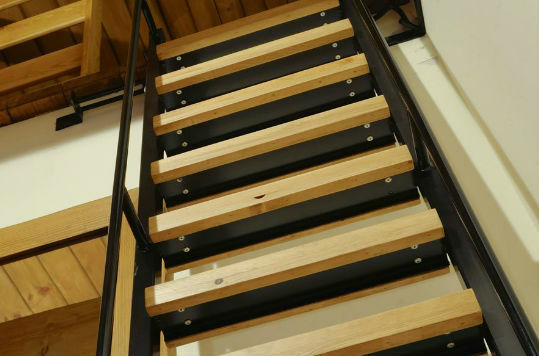 We can install simple loft ladders, and loft ladder systems with a professional finish. We will recommend the best loft ladder to suit your home, providing you with safe and secure access to your loft.